KEYSCAPE™ - это совершенно новый виртуальный инструмент с самым большим выбором клавишных инструментов в мире. По заявлению компании, их команда на протяжении десять лет занималась сбором и реставрацией, а затем сэмплированием самых известных и популярных клавишных инструментов. While it’s every performing keyboardist’s dream to have the very best instruments instantly available anywhere, Keyscape is equally useful in the studio for producers and composers. Since these instruments can be easily transformed into amazing “unreal” sounds with the powerful STEAM Engine® under the hood, Keyscape easily turns these coveted instruments from History into innovative new sounds of the Future. As a bonus for Omnisphere 2 users, Keyscape also integrates fully as a satellite instrument within the Omnisphere® interface. Keyscape will simply appear as a library inside Omnisphere’s browser for users of both plugins. This capability allows Omnisphere 2 users to harness additional functionality like Live Mode, Stack Mode, Multitimbrality, endless FX routings and the full synthesis power of the STEAM Engine® to explore endless new sonic possibilities and combinations. Keyscape now also includes this cutting-edge library of over 1200 patches specially designed for users who also have Omnisphere 2. The richly detailed keyboard sounds of Keyscape have been dramatically transformed using Omnisphere’s deep synthesis capabilities. These truly amazing patches offer an extremely wide variety of incredible sounds for modern music producers. 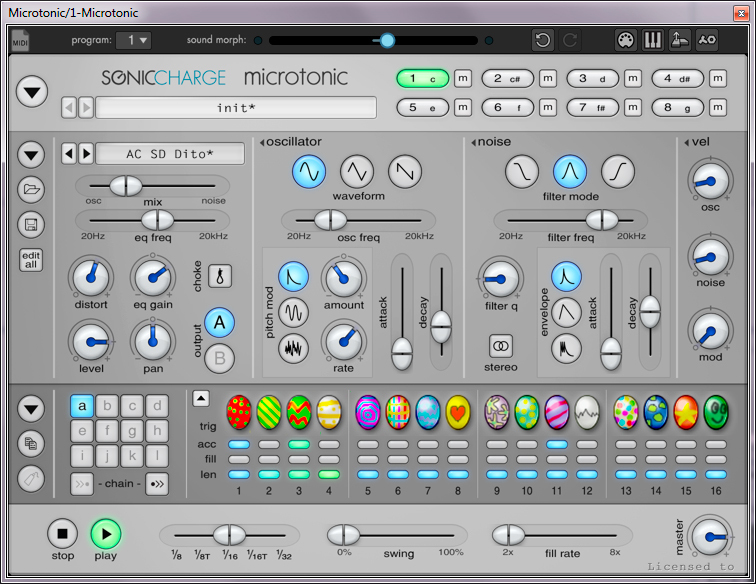 • Deeply Multisampled sounds with up to 32-way velocity switching, Round Robins, etc. Доброго времени. Ребята, кто в теме, объясните пожалуйста пошаговую установку. С переводом по установке от "яндекс-гугл" чёрт ногу сломает. На борту, установлен " Trilian " . Where is the STEP 6?